Stone architecture elements transform an average home into a one-of-a-kind masterpiece. If you are remodeling or building a home, consider adding one or a few of these stone elements to your design. Make a grand entrance with an arch! Instead of a simple squared-off doorway, add an arch to your design. Arches are inspired by classic Roman architecture. Adding an arch to your home will bring a touch of ancient architectural inspiration to your space. If you want to combine a few architectural details into one design element, consider adding stone columns on either side of the arch to complete the look. Natural stone columns add structural support and beauty to your home. They can be used inside and outside to add architectural interest all over the property! 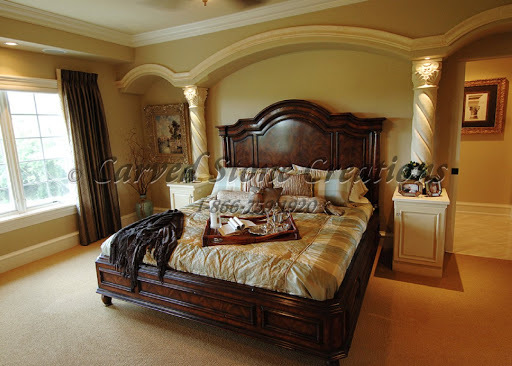 Columns come in a variety of styles inspired by ancient architecture. They can be used to support a balcony, line a hallway or create separation between two rooms in your home. 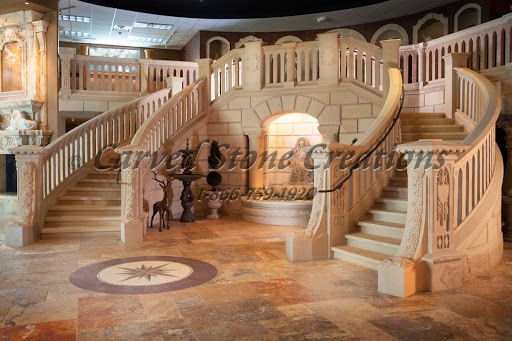 Stone staircases are functional and beautiful! Consider adding a staircase to your outdoor landscape or indoors. We love curved staircases because they add a grand feel to the space. Each staircase design is one of a kind and carved by hand. Are you looking for more stone architecture inspiration? Visit our ideas gallery to view some of our past work and get inspired.